From the Paramount and the Jefferson, to Live Arts and the mega-plex coming to the Stonefeild development, Charlottesville has loved its theaters. Now the Albemarle Charlottesville Historical Society on the DTM is hosting a new exhibit beginning this Friday, June 1. 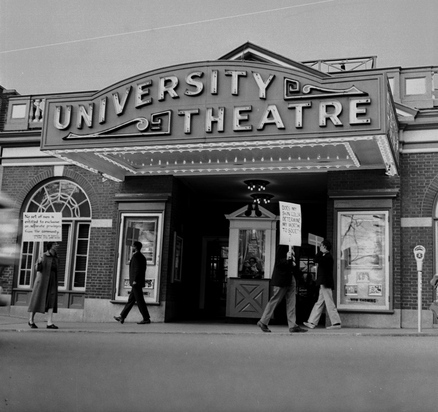 It’s called The Wealth of Theaters, and its a research project on the history of Charlottesville theaters, from the mid-nineteenth century to the present, created by recent UVA grad Lindsey Gore with the help of the Historical Society. Refreshments and wine will be served at the June 1 opening reception in the McIntire Building from 5:30 to 7:30pm at 200 Second Street NE.